The 32nd ICP is organised by an association of profesional and scientific organisations, universities and other bodies, active in the field of psychology. 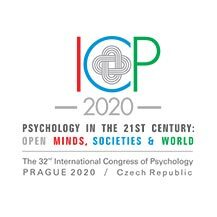 The main organizer of the 32nd ICP is the Czech and Moravian Psychological Society (ČMPS), strongly supported by Union of Psychological Asociations Czech republic (UPA ČR). By its scientific activities the Society enhances the development of psychology as a field and as a profession and it contributes to the increase of the members' scientific level and the knowledge of those who are interested in the field. It comments on the scientific level of psychological journals and publications and watches over the application of ethical principles in psychological practice (Code of Ethics). The Society represents its member during negotiations with institutions in the Czech Republic and abroad and it expresses its opinion on questions of general interest.